Before part two of the Path to Glory battle report here's the turnarounds on the Biletrolls I promised to put up days ago. And yes, I will also do the promised tutorial on the blightking champ. Eventually. These are fantastic, I'm sure your enemies died of terror just by looking at them. Didn't notice the shields nailed to the outer armour last time, great touch. They look gross in all the right ways. 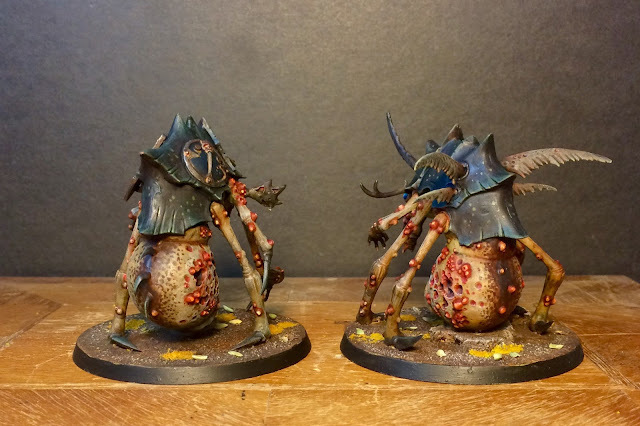 They really look like they hobble horrifyingly and patheticly towards the enemy in true oldhammer spirit. The shields are a great touch. These would be terrifying to have to face on the battlefield. 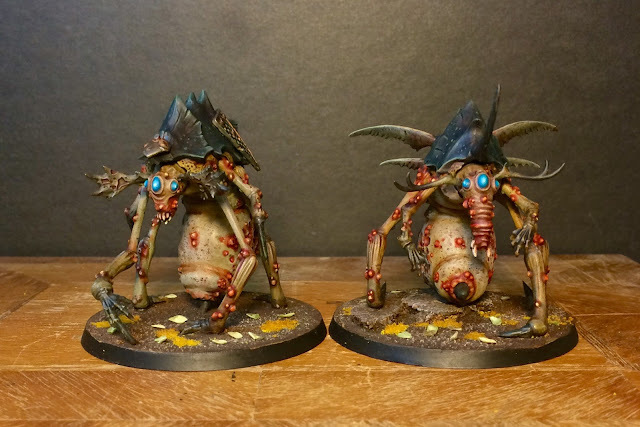 I actually have a couple of Plague Drones missing their wings laying around, and I'm not sure what to do with them. Maybe I'll take some inspiration from these guys! Those pustules look so good. 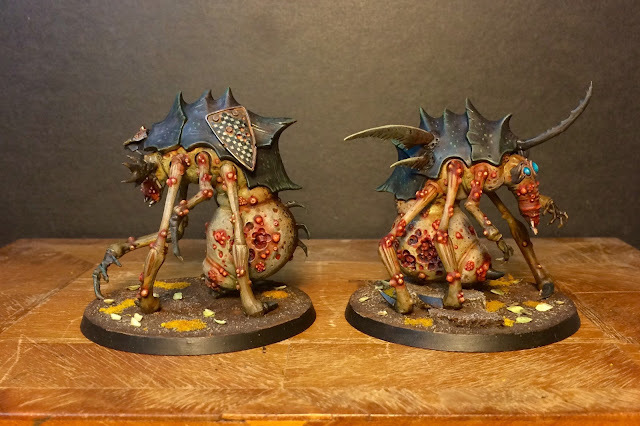 I've just posted some plague bearers today to get some advice and feedback. I have a long way to go before I am anywhere near your skill level. Awesome work man.